Radina in 2011 with former Michigan Governor Jennifer Granholm. Travis Radina, ’08, is board president of the Jim Toy Community Center, which serves the LGBTQ community in Michigan’s Washtenaw County. He is also the LGBTQ liaison to the mayor’s office in Ann Arbor. And those are just his volunteer jobs. By day, he works as a senior global engagement manager at the Alumni Association. Recently, he shared his advice on how U-M can help shape one’s career and what he now wishes he had done differently as a student. Make connections. The student organizations I was involved with shaped my network and friend circle to this very day and influenced my life. But I also wish I had taken more advantage of the vast number of student organizations on campus and built my network even more. My intense involvement in political organizations was incredibly valuable and allowed me to develop lifelong connections but limited me from also trying other things and meeting even more people. Be yourself. I had moments in college when I thought about coming out to close friends. But despite having a very supportive family, I hesitated because I grew up in a conservative town (Frankenmuth, Mich.), I didn’t have many LGBTQ role models in my life, and LGBTQ rights were still limited. Now, I understand the value of sharing our stories and the importance of having visible and valued LGBTQ leaders in our communities. Knowing how much the LGBTQ community has enriched my life, I should have come out sooner. But I was not that far in my journey yet. Try out your career in college. Sophomore year, I co-founded a student government party called the Michigan Progressive Party. We had to identify voters, develop a platform, recruit candidates, and learn all the regulations around campaigning on campus. I also joined the College Democrats and served as chairperson for several candidates on campus campaigns during the 2006 and 2008 elections. Don’t feel your major has to be your career. I majored in political science with a minor in Latin American and Caribbean studies. I loved my political science classes, but I also explored courses that interested or challenged me. For example, I took classes in Buddhism. This is the time when you can pursue interests, try new things, and expand your worldview. In politics, you can always volunteer, campaign, and run for office. You don’t need to be a political scientist to work in politics. Feel free to switch your path. When I graduated, I had a job lined up to work for Teach for America in rural North Carolina. But it was the 2008 election cycle, and with Barack Obama and Hillary Clinton running I knew it would be a historic election and I had to be part of it. I turned down the teaching job and worked for the Michigan Democratic Party, with a focus on a congressional race here in Michigan. My candidate won, but rather than moving to D.C. to work for him, I moved to Lansing to work for the woman who replaced him in the state house. Five years ago, I started my current job at the Alumni Association, working on a peer-to-peer membership campaign. 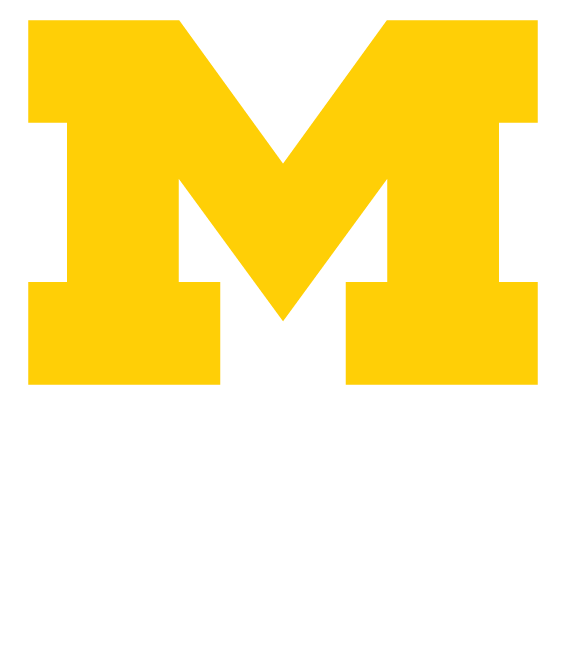 It blended my passion for politics and U-M.
Find an area where your service is needed. In Lansing, I was not super involved in LGBTQ activism, but I committed myself to strengthening and growing a local Democratic Party organization. When I came back to Ann Arbor, I had friends involved with Jim Toy and saw an opportunity to take my service in a different direction. I went to a few events and then joined the board a few years ago. I am now in my second term as president. As the LGBTQ liaison to the mayor, my job is to keep the mayor up-to-date on issues in our community. Being gay has definitely informed my political views and my values of acceptance, tolerance, and love. Though it is not my profession right now, I have never left politics.